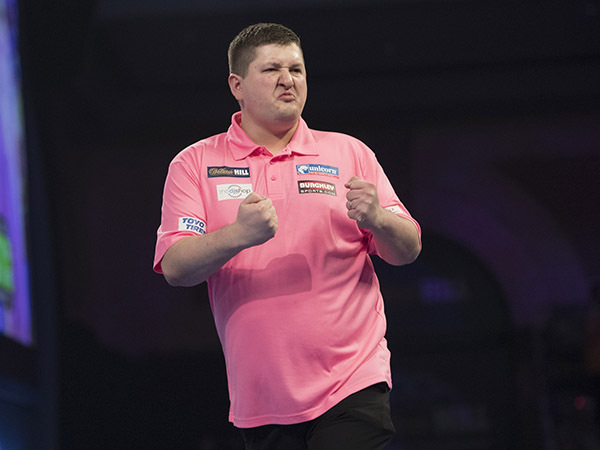 MODUS DUO Jonny Clayton and Keegan Brown both enjoyed runs to the semi-finals of Players Championship 8 in Wigan on Sunday. Brown (pictured) was narrowly edged out by Raymond van Barneveld after reaching the last four of a PDC tournament for the first time in 2019. Clayton, playing in his second PDC semi-final of the year, was defeated by eventual champion Adrian Lewis. Dutchman Vincent van der Voort also enjoyed a strong showing, making the quarter finals of events of on both Saturday and Sunday.